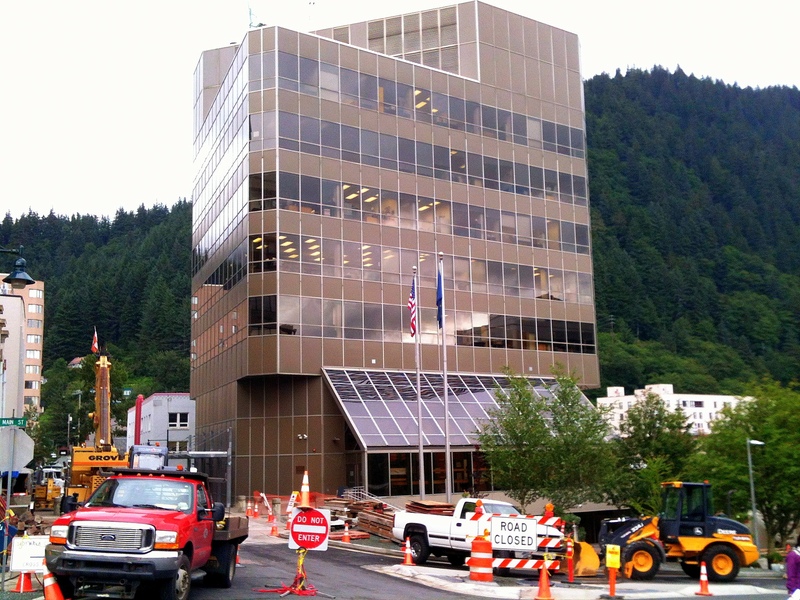 There’ll be no court in Juneau on Thursday, Christmas Eve. In fact, all of the state’s 39 courthouses will be closed on Christmas Eve as a cost saving measure while the state tries to chip away at a multibillion dollar budget deficit. Meanwhile, there are roughly 15,000 other employees statewide who will likely be paid a full-day’s wage Thursday. Many of those state office workers could be sent home early if Gov. Bill Walker continues with the common Christmas Eve tradition established by previous governors. The judicial branch accounts only for 1.4 percent of the state’s annual general fund spending. Compare that to the executive branch which takes up 86.5 percent of the $8.2 billion state operating budget. All of the judicial branch’s 750 employees and 73 judges and justices are required to take mandatory leave without pay Thursday. “We’re doing our part,” said Mara Rabinowitz, communications counsel for the court system. She said they’re saving more than $500,000 with the Christmas Eve closure and a previous closure on the day after the Thanksgiving. Court employees and judges, who are not represented by a bargaining unit, will still be available Thursday for emergency proceedings such as search warrant and involuntary commitment applications, in-custody arraignments, domestic violence petitions and emergency Child in Need of Aid hearings. Supreme Court Chief Justice Craig Stowers wrote to employees last month that salaries and benefits make up over three-quarters of the court system’s current $112.7 million budget. He said there are no other options for absorbing a $3.4 million cut. Justices decided that the best opportunity for savings would come from mandatory unpaid leave, closing courthouses on selected days and leaving positions unfilled after an employee quits or retires. Rabinowitz said a court employee advisory committee favored pay cuts and unpaid leave over layoffs. “They’re carefully considered strategies for how to preserve jobs (and) avoid layoffs while still providing our core mission of accessibility to the courts for fair and impartial resolution of disputes,” she said. Stowers said some employees have already voluntarily taken additional leave without pay. He’s also asked judges to take six days of leave or forgo an approved 2.5 percent pay raise. To set an example, Stowers said he already had 12 days’ pay deducted from his $205,176 a year salary. Courthouses will also be closed the last Fridays of next March, April and May. 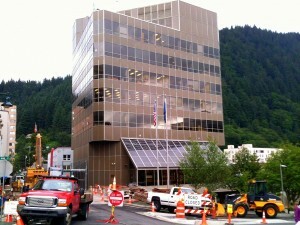 After another round of expected cuts goes into effect next July, courthouses will close early every Friday at noon. If next fiscal year’s cuts do not exceed 3.5 percent, court employees will get an extra half-hour in their Monday through Thursday workdays. Within the executive branch, a couple of hundred employees from the state departments of Administration, Law, and Natural Resources are also taking mandatory leave without pay Thursday. Estimated savings total just over $650,000. “Each of those departments had some budget issues with the cuts that they’d been taking and that’s just one of the ways that they chose to solve their budget issues,” said Deputy Commissioner of Administration Leslie Ridle. She said they’re sending home non-represented employees, such as those who work in the commissioner’s or attorney general’s office, division directors, and state attorneys and public defenders. Ridle said those departments may use the same method to cut costs again next year, and they plan to talk with employee unions about potentially putting represented employees on mandatory leave without pay.